For Dr. Rebecca Wachtel, dentistry truly encompasses all of her passions. Her desire to connect one-on-one with patients is achieved dozens of times every day. She gets to “nerd out” over the chemistry and techniques that are constantly changing and improving dentistry. And most importantly, it is rewarding to help relieve someone’s pain and to get or keep someone in good health. Building and maintaining relationships with her patients makes this Martinsburg, West Virginia native feel as those she is visited by a close group of friends every day. Dr. Wachtel joined La Mesa Dental Artistry in 2016, and she provides a wide range of dental services for patients of all ages, including general and cosmetic dental treatments, dentures and dental restorations. She has pursued a great deal of additional education in endodontics and implant dentistry, and enjoys the challenges and rewards of working in these two areas. 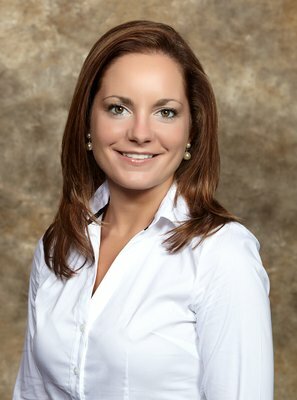 Dr. Wachtel’s educational path to becoming a dentist began at West Virginia University, where she earned her bachelor’s degree with honors in chemical engineering. From there, she went on to earn her Doctor of Dental Surgery degree from WVU. Since moving to California, Dr. Wachtel has joined the faculty at University of California, San Diego. She volunteers with the school’s free clinics in the evenings, where she treats patients and mentors students. She has served as an adjunct faculty member at Virginia Commonwealth University and Pittsburgh University, and mentored fourth year dental students at clinics there. She views this work as a great way to give back to the community and the profession. Dr. Wachtel and her husband, Jonathan, married in November 2013. When she isn’t working, she enjoys cooking, travelling, skiing, scuba diving, yoga, hiking, camping, and watching West Virginia University athletics. She also is a member of the American Alpine Club. Most memorable travel experience: A dental mission trip to Guatemala. It was my first time in a third-world country, which was already very eye-opening for a young dental student, but the kindness and appreciativeness of the patients was very impactful. Happiest day of your life: My wedding day. If you could possess one super-power, it would be: The power to travel through time. I wish the DeLorean was in my garage. A fact people would be surprised to learn about you: I grew up on my family’s farm in West Virginia, where I raised a steer named T-Bone to take to the county fair for exhibition and auction.